It doesn’t matter how good you are at doing something if what you’re doing isn’t the thing you should be doing. I think of this all of the time when I see how small and mid-market companies approach the sales side of their business. The good news is that (it appears) sales effectiveness is getting more attention than it has in quite some time. The bad news is that it’s being assessed in an ineffective manner, leading to increased investments (and increased costs), but very little to no long-term improvement in the results the sales organization is achieving. Far too often a marketing or sales approach problem is misdiagnosed as a skills or people problem. Over the last 10 years, I've seen this from a number of perspectives (it’s what prompted me to write The 7 Steps to Effortless Growth eBook). I regularly get inquiries about sales training and/or coaching sales reps. Upon further investigation I’m able to conclude and share that while, yes, in fact the training process needs to be enhanced, they don’t have a training problem. All training would do is improve the things they’re doing, when their problem is that they’re doing the wrong things. Imagine that you’re playing baseball and you’re up to bat. How likely would success be if I put a black curtain halfway or two-thirds of the way from the pitcher and you, the hitter? It would be virtually impossible, and no amount of training, coach or practice would provide much help. 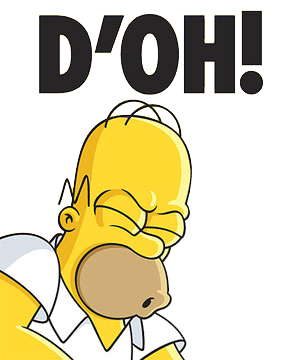 That’s akin to the problem your sales efforts face today. Your customer has fundamentally changed how they learn, engage, discuss, review and purchase. This does not diminish the importance of salespeople in the process, nor (to counter the argument of many marketers) does this mean that buyers won’t talk to salespeople early in the process. It simply means the way your business goes to market must change to align with today’s world. Your revenue generation system is only going to be as good (and consistent) as its weakest area. Sure, for short bursts of time you can overcome a weakness in one area, but it eats away on your growth structure and can actually make you weaker. Volume. 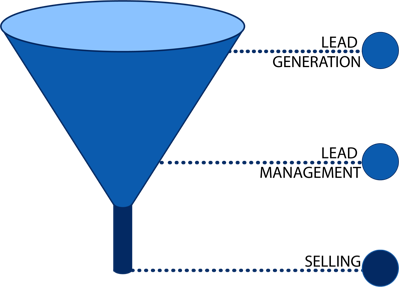 The most common mistake I see in mid-market funnels is that they’re not generating enough engagement at the top of the funnel. When you don’t have an adequate volume of leads coming in at the top, the rest of your approach can’t be optimized; and you’re sales team will be constantly working at a deficit, with a scarcity mentality. Velocity. The most important metric in measuring your lead generation efforts is lead velocity. Lead velocity is simply the calculation that measures the increase (or decrease) in qualified leads on a month-over-month basis. A positive lead velocity indicates positive growth. However, if you’ve got a negative velocity, it’s only a matter of time before your sales (and salespeople) will suffer. Triage. As your lead generation efforts grow, you need a simple and effective system to determine how each lead should be treated. You can read more about that process here. Here are the three areas to focus on for lead management. Lead nurturing. You must develop multiple nurturing streams for each of your buyer personas. Oftentimes, the barrier to a sale is a lack of awareness or understanding on the part of the prospect. Lead nurturing allows you to demonstrate your value by constantly educating and reinforcing your value proposition. Companies that excel at lead nurturing enjoy both high closing rates and higher margins. Sales development. The world of B2B sales is simply too complicated to be left in the hands of salespeople alone. If consistent and sustainable sales/revenue growth is your goal, you must implement a sales development process to manage leads and create more opportunities for your sales people. Data and analytics. You don’t know what you don’t know. Far too often when we’re assessing a prospect’s sales and marketing process we find that they’re using their gut to make critically important decisions. Frankly, this is why organizations misdiagnose the sales problems – they’re treating symptoms instead of actual problems. Effective data and analytics let you know if you’re on course to meet your objectives, and if you’re not they allow you to address the right problem. B2B sales is a tough business today. What’s exciting is that these barriers actually represent a huge opportunity for those organizations that invest in and build their go-to-market structures. It’s no longer enough to simply be able to show up at a prospect’s door, tell a good story and through the sure will and determination of a sales rep or team, close the business. So take a moment and give your sales structure a close look. Ask yourself if that structure is making it easier for you and your sales team to grow the business or not. If the answer’s not an absolute “YES!” (backed with data), then take the time and make it one. Your bottom line will be glad you did.